Lucky Irish Green Shamrocks baseball. 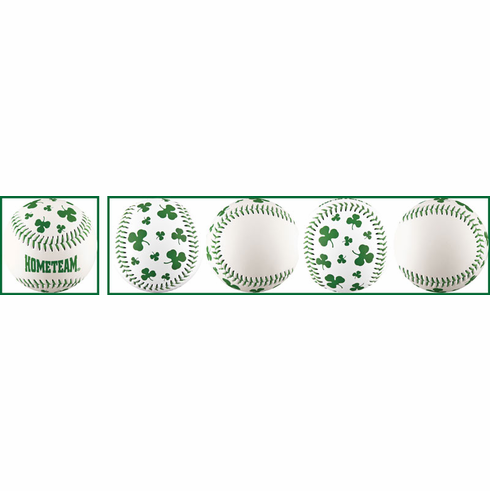 Hometeam text on sweet spot and shamrocks all over one half of the baseball. You can even use a Sharpee to personalize the white part of the baseball if you want to...or you can leave it blank!